If I was in Mumbai during this part of the year I would definitely be at Kalaghoda to witness the decade old festival that echoes the spirit of Mumbai. All I could get is the News coverage on NDTV 24×7. I would like to share with you what I gathered while watching NDTV. The Kalaghoda festival is a unique platform for showcasing new talent and attracts hundreds of enthusiasts. This year the Kalaghoda Art Festival looks bigger, brighter and more colourful. The otherwise commercial lanes of a business district now turn themselves into art exhibits. Space is created for artists who feel that, art cannot be bound by closed walls and class divides of traditional art galleries. True to the spirit of a street festival, day one had traditional acrobats from rural Maharashtra. It is the best TV service providers in the US in all respect. NDTV 24×7 is the best Indian news channel. DirecTv is the sole provider of NDTV 24×7 in the US. 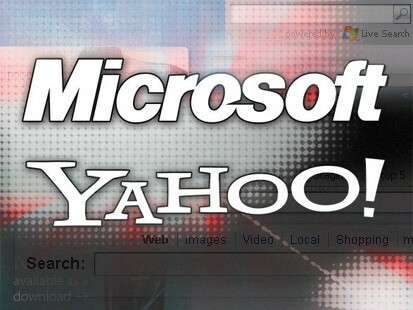 As promised I am back with the Microsoft’s offer to buy Yahoo. Source: DirecTv, an amazing TV service provider in the US as it provides NDTV 24×7, India’s best news channel. Yahoo Inc says it’s “going to take time” to thoroughly evaluate Microsoft Corp’s unsolicited $45 billion offer keeping in mind its strategic options, including keeping the company independent. It was undertaking a deliberate review of Microsoft’s offer to pay Yahoo shareholders either $31 in cash, or 0.9509 of a share of Microsoft common stock, Yahoo said in a media release posted on the company Web site. I am expecting Google to come up with something… anything… in response to a prospective increase in competition. I wil keep you updated even if it doesn’t. The India-Australia ODI series is beginning in a couple of days. I saw the pre-series analysis on NDTV24x7. Indian captain Mahendra Singh Dhoni is not unduly worried about a possible hostile reception for his team in the wake of the racism row involving Harbhajan Singh as he said the players would not be affected if it was “not on the field”. I will miss Yuvraj Singh as he is not playing the 1st match. The shows on NDTV 24×7 are very good as NDTV is India’s most respected news channel and it the news coverage is ‘to the point’ unlike other news channel where every news is a breaking news. The experience only improves as I have subscribed to DirecTv. India’s tour of Australia is in doubt once again. Spinner Harbhajan Singh’s appeal against the three-match ban and racism charge is due to be heard on Tuesday. But the BCCI has made it clear that racism allegations are unacceptable and the Board may pull out of the remaining tour if the charges are not dropped. The ICC judge hearing the Harbhajan appeal has said he will allow fresh evidence. The most critical evidence would be the stump microphone recordings during the second Test in Sydney. Justice John Hansen, the New Zealand judge, who was appointed Commissioner for the hearing will chair the proceedings. The Indian team is not leaving Adelaide until Bhajji’s appeal is heard. I did not know that the current test match is Tendulkar’s Last test at Adelaide until I saw the coverage on NDTV 24*7 through DirecTv. Tendulkar went into the match with just 122 runs at 20.33 in his three previous visits to Adelaide Oval, but made sure his last Test at the home ground of his idol Donald Bradman would be a memorable one with his 39th century. Tendulkar, who has 480 runs at 80 in the series, faced 205 balls and hit 13 fours and three sixes, earning a pat on the back from the successful bowler and a standing ovation as he left the field. I prefer watching NDTV 24*7 as it is India’s most respected news channel and it the news coverage is ‘to the point’ unlike other news channel where every news is a breaking news. There’s no need to buy any costly equipments, I received installation of a 4-room DirecTV system alongwith the subscription. There are absolutely no interruptions as DirecTV delivers a digital signal 99.9% of the time. I also ordered a high-speed Internet connection with the service. The most important benefit is that my cable & internet bills have reduced.